ERGO fights against antigypsyism, advocates for better policies for Roma in Europe, creates strong networks and empowers Roma activists. Can we put an end to the dehumanization of Roma in France? The Alliance Against Antigypsyism is a coalition of organisations that promote equality of rights for Roma. Pilot project to strengthen the monitoring mechanisms of the implementation of the National Roma Integration Strategies through systematic civil society monitoring. 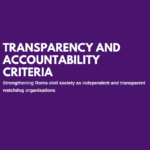 ERGO Network has developed a set of transparency and accountability criteria to strengthen civil society organisations by increasing their legitimacy, trust and effectiveness. 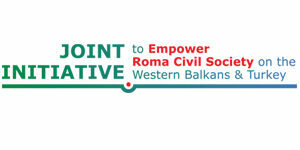 The Joint Initiative sets up a supporting structure for (pro) Roma civil society to actively participate in the local and national policy and decision making process through capacity-building and networking of Roma NGOs on the Western Balkans and Turkey. #Romania: Roma family awarded €49,000 after police ethnic profiling human rights breaches. It found that the authorities perceive the Roma community in general as criminal. The Employment & Social Innovation (EaSI) programme is an essential tool assisting the Commission to reinforce the EU’s social dimension as affirmed by the European Pillar of #SocialRights.